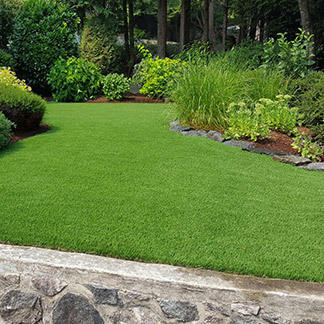 Cleanline products are made from eco-friendly materials and have exceeded all performance and durability tests. Cleanline was tested in a 95 km wind tunnel and stood strong. 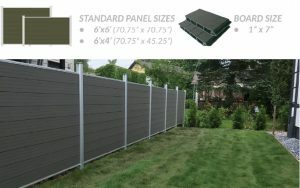 Because of our unique design and thick composite boards, Cleanline fencing is stronger than wood and vinyl. 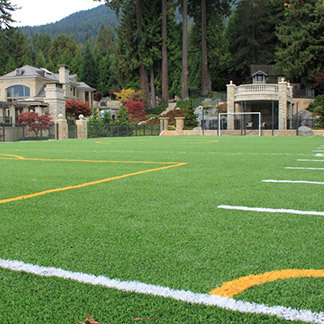 Our composite fencing will last up to 30+ years so you can enjoy it for decades to come. 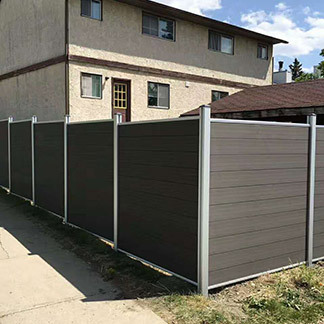 Our fence posts are made from aluminum and can be set in the ground like traditional posts or be mounted to an existing surface with our post-base brackets. The panel boards are made from recycled plastic and wood fiber, giving superior longevity and realistic visual appearance. Using recycled materials helps keep plastic and wood out of the landfill. Using 5 fence panels of Cleanline can save one tree. 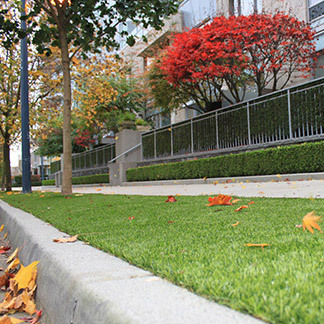 We, at Cleanline, are doing our part to contribute to a sustainable economy. 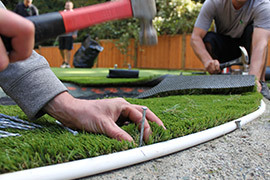 Please join us today by letting us install your very own “forever fence” today! 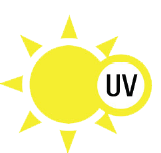 UV resistant, weather resistant and structurally stable in any climate. Our products are made from recycled materials and contain no harmful elements or heavy metals. 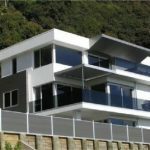 Cleanline offers some of today’s most advanced fence designs for a modern look that won’t go out of style. 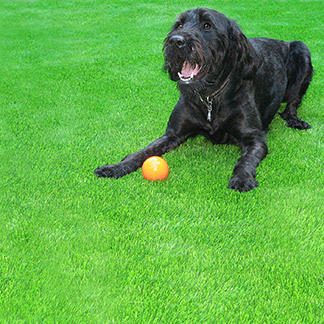 A maintenance free solution, Cleanline offers a 10 year warranty for all products. 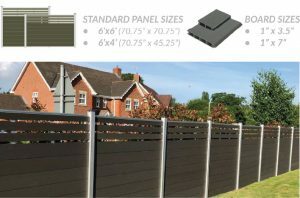 The Cleanline fence system is sleek, modern and will outlast any other fence panel options available today. 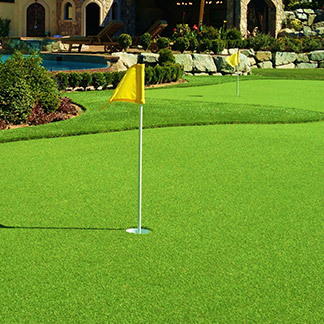 Our products are durable and maintenance free, you will never have to paint or stain your fence again. 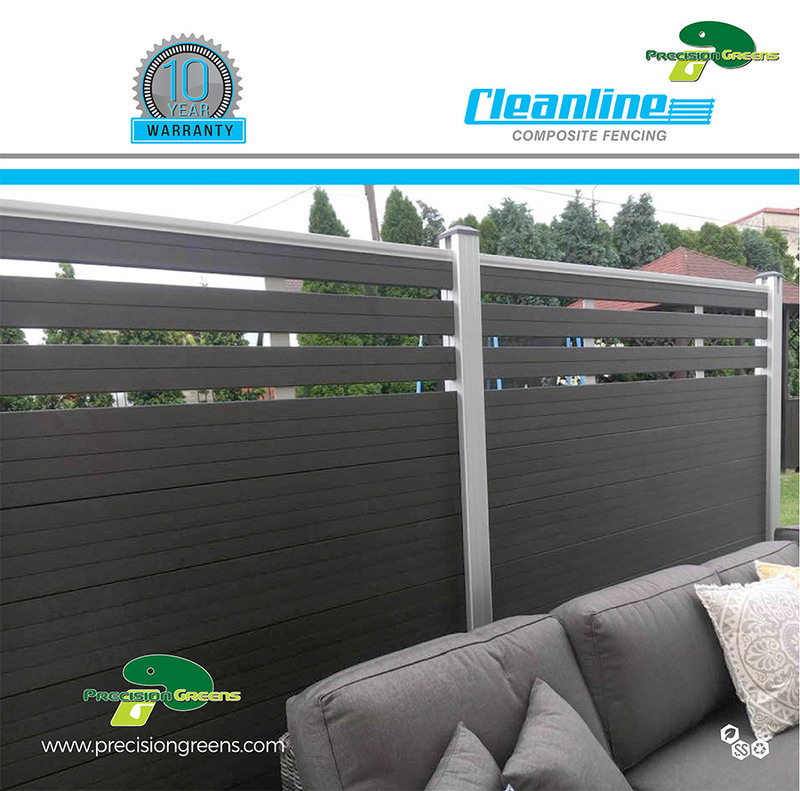 Compared to wood or vinyl fencing, Cleanline products will not rot, split, crack, fade, deform or splinter. There is no chance of termite infestation, no rotting or sun discoloring. 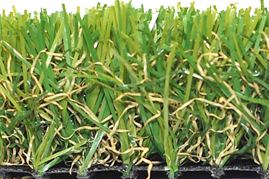 Our products are stable in all climates and have a smooth feel. The full trellis fence is great for complimenting a garden design or creating partitions with limited visibility. 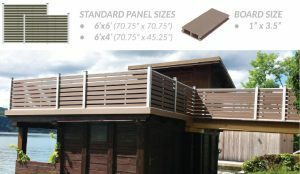 The 4′ height is ideal for security around decks and patios. The 6′ height makes the perfect fence for you, your kids and pets to see through but still kept safe within the yard. Our mid-trellis fence offers the perfect balance of privacy and visibility. 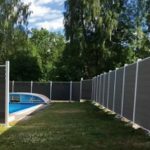 Our privacy fence is ideal for those wanting to block out all visibility, but keep a clean look to their property line. Our fence door and our gates are designed to match our fence products. The door is hinge-mounted and works flawlessly with the fence design. 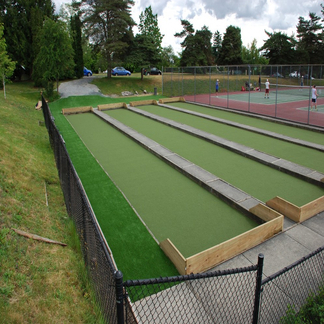 The slide gate is mounted parallel to the inside of the fence and slides horizontally back-and-forth. It is widely used as a main gate or car gate for residential properties.